The content of the Law Society’s CON29DW is being updated to reflect changes to legislation impacting the water industry. Working in consultation with The Law Society, changes are being made to the CON29DW to ensure that the Enquiry provides conveyancers with the most up-to-date information available when advising their clients on the impact of water and waste water networks in relation to property purchases. The updated CON29DW will be implemented by providers over the coming months with a view to all providers using the updated form by 4th July 2016 when the Law Society launch their revised CON29 and CON29O forms. Following the Pitt Review into the cause of flooding in 2007, it was concluded that sustainable drainage systems (SuDS) would be the most effective way in preventing the issue happening again. 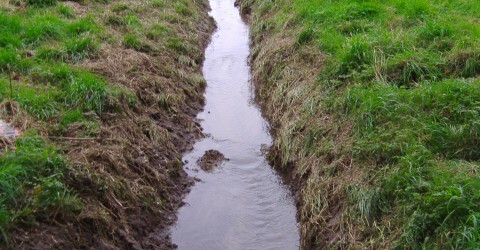 SuDS slow the rate of surface water run-off and improve infiltration, mimicking natural drainage in both rural and urban areas. They are being used more widely in new developments to help improve drainage and avoid flood risk. As such, they reduce the challenges and risks to homebuyers and their professional advisers. In early September 2014, DEFRA and DCLG launched a consultation to provide the foundation for a long-term approach to delivering effective SuDS. The aim is to develop SuDS that can be maintained for the lifetime of the building developments they serve, protecting the safety of occupants and of building investments. The consultation states that the implementation of SuDS will begin in Spring 2015 and will be overseen by planning departments. This may result in conditions being attached to planning consents on maintenance and minimum standards of future SuDS. Furthermore, it could have implications for contractors, water companies, local authorities and private firms who will be expected to manage the upkeep of SuDS. Providers of the Law Society’s CON29DW are now looking at how the search can facilitate the transfer of information regarding the implications for homebuyers and professional advisers for properties benefiting from SuDS. These changes are intended to improve the accessibility and interpretation of Enquiry for conveyancing professionals and their clients. All providers in England have committed to a deadline for these changes, with the majority occurring before 1st November 2013. All English providers will have moved to the new format by Spring 2014. You can find out who provides the Enquiry in your area by using our mapping tool. Conveyancers have once again highlighted the exemplary customer service and quick turnaround times from the water companies that provide the Law Society’s CON29 Drainage and Water Enquiry. Over 150 conveyancers were independently surveyed across England about the order process and customer service received when purchasing the CON29DW during the house purchase cycle. Once again, over 97% confirmed the search order process either met or exceeded their expectations, with a rise of 3% in conveyancers who thought the service had improved since their last search. This survey, undertaken in April/May 2013 revealed a significant 5% increase from 2012 in respondents who would speak highly of their CON29DW provider without being asked. “This reflects a real drive across all the companies to continue improving our service to our customers, and is great result for all the companies involved”, said Mark Jarvis, Operations Director at Severn Trent Searches.